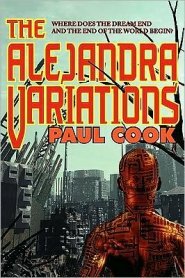 Paul Cook's novels are available from Amazon (see link for each book) in paperback or for the Amazon Kindle. They're also available from Barnes and Noble and as eBooks from Smashwords. Chuckle has just hit the streets of 21st century L.A. with devastating results. A member of L.A.P.D's Protean Set -- special detectives who can change their appearances -- Rory Koestler sets out after Bob Thermopylae, L.A.'s main dealer in Chuckle. Problem is, someone else is after him as well -- assassins who step out of walls or just appear out of nowhere. Soon, they turn their sights on Koestler and several other citizens. Who are they? Where do they come from? Lou Colleran is an immortal. But even immortals can be killed. 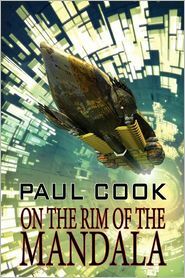 For the universe is being threatened by genetically designed creatures called calibans. And the only thing between them and the destruction of the worlds of the Mandala is Lou Colleran. But can Lou Colleran, an immortal haunted by a woman dead hundreds of years, and preoccupied by seductive dreams, survive long enough to save the universe from destruction? 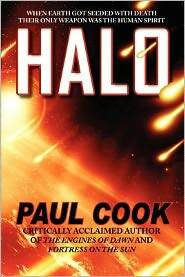 The mysterious alien artifact called the Halo came quietly and mysteriously and then sowed the earth with seeds that threatened to destroy humanity by destroying their souls. But the aliens had underestimated the human spirit and a band of Moon-based scientists survive to fight and take back what is rightfully ours. A powerful, visionary and scary look into our future and a possible encounter with an alien species almost impossible to beat. 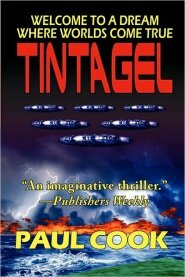 When the last great war came, a small group of survivors hid themselves below the fields of Kansas, living in a place of eternal twilight. Over time the energy surrounding the descendants of these survivors turned them into Duendes, ghost-like beings, never having seen real light or knowing anything of the conditions of the world beyond their underground enclosure. Six hundred years have passed since the war and now some Duendes want to leave the safety of their habitat and finally go 'above.' But what will they discover once they have emerged into the sunlight? 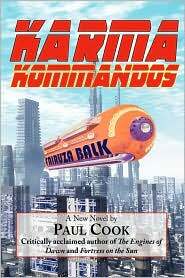 The great engines of the Enamorati have enabled humanity to travel the stars, but at what cost? 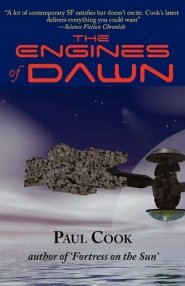 Little is known of the jealously guarded engines while a complacent humanity slowly losses its edge and becomes increasingly dependant on mysterious alien technologies. However, when an engine failure strands a university ship, Professor Ben Bennet and a group of students challenge the status quo and start discovering hidden secrets that threaten the future of humanity itself. 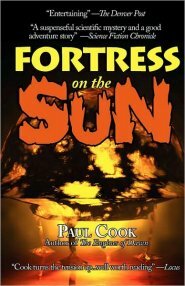 Ra is a 21st century prison camp that also acts as facility for harvesting metals-from the Sun. The prisoners have all been banished here for extreme crimes, but none of them remembers anything from their past. As a lethal disease slowly spreads through the camp and the prisoners are abandoned, Ian Hutchings must find a way out if he and his people are to survive. But dark secrets lurks, and as they try to survive both the illness and the inferno they live on, they will discover a truth even stranger than their own circumstances. 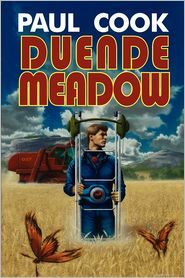 Nicholas Tehada is dreamer having his dreams harvested by Mnemos Nine-a computer used in a top secret government project. But where do the dreams end and reality begin? And what is the ultimate goal of Project Foresee? Music can be many things, but when it is used a medium to spread a deadly virus that transports listeners to a deadly world of dreams, it threatens the future of humanity itself. But not everyone is susceptible to the deadly virus and there is a group of 'stalkers' who are immune to its effects. Francis Lanier is a stalker who can walk through the deadly dream worlds of others. He spends his time rescuing others from their dreams and races to find a final cure for this deadly infection.